The cover of my first novel. Hi. 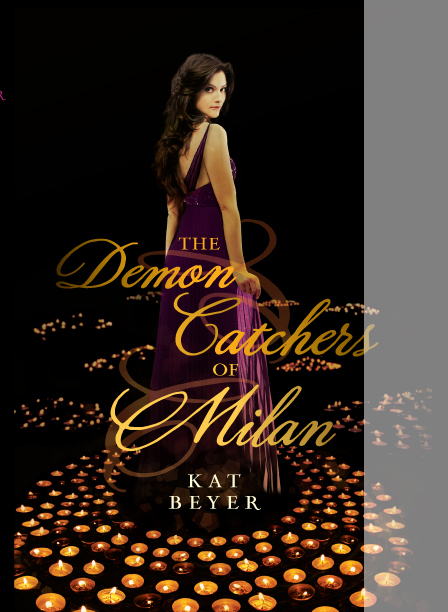 My name is Kat Beyer, and I am the author of The Demon Catchers of Milan. Here's a lovely starred review in Kirkus. My website is under construction for a tad longer, what with raising my feisty child and writing The Halcyon Bird, the sequel to Demon Catchers, due out from Egmont USA in 2014. I'm also writing a blog that should amuse writers and readers. I am sorry to announce that I have decided to focus on novel writing & parenting, so I am no longer selling cards and prints. I know this is hard news for some folks, & I really appreciate your support over the years. I look forward to showing you what I can do in another medium! I email when I have news (once or twice a month) & never share your address. It's a great way to keep up! Readings coming soon... and I'm always at WisCon. The name 'katspaw.com' was conceived by Sara Cook, who comes up with cool stuff like this all the time.